Long out of stock, now re-pressed and re-issued. 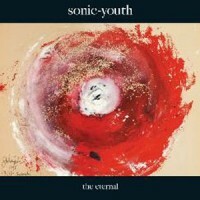 Produced by John Agnello and the band, ‘The Eternal’ not only marks Sonic Youth’s return to the independent label sphere (titles on their own SYR label excepted) after a long association with Geffen but, more importantly, it ranks as one of their more inspired efforts in a 28 year career. Recorded through November and December of 2008 at the band’s Echo Canyon West studio in Hoboken, NJ, ‘The Eternal’ features many firsts for a Sonic Youth album, including a number of shared vocals between Kim, Thurston and Lee and the studio debut of former Pavement / Dustdevils bassist Mark Ibold, a member of Sonic Youth’s touring band for the past few years.